Just a decade ago, buying your beauty products off a computer was unheard of, let alone off a social media page. For many, it meant strolling aimlessly around endless beauty counters and having your choices picked out for you by a beauty advisor or being counselled by tons of friends. 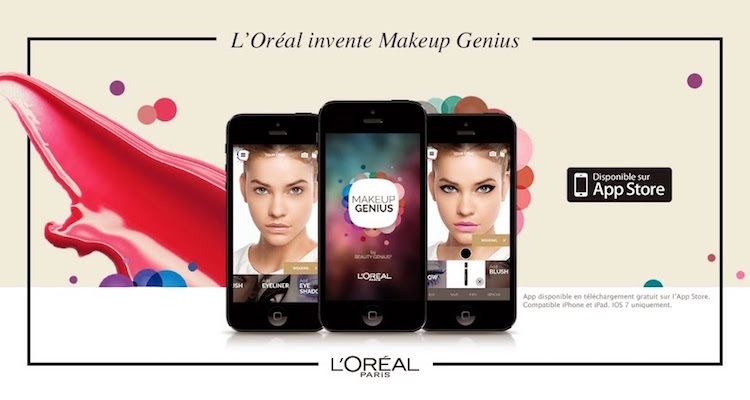 In June 2018, we got reports that L’Oréal is set to harness the power of augmented reality. The global cosmetics giant is joining forces with Facebook via ModiFace, an augmented reality company that it acquired earlier this year. Modiface will offer Facebook users the chance to virtually try on a range of makeup products from some of L’Oréal’s best-known brands, including Maybelline, L’Oréal Paris, NYX Professional Makeup, Lancôme, Giorgio Armani, Yves Saint Laurent, Urban Decay, and Shu Uemura. The project will kick off at the end of this month with an NYX experience. By doing so L’Oreal is offering a customer experience that’s both empowering and convenient. Now customers don’t have to go to a physical store to learn from an expert: they can livestream one to their phone from wherever they like, while still being able to see how various products and colors will look like on them. ”By bringing AR into the mainstream L’Oreal and Modiface are reshaping the beauty experience and we’re thrilled to see this brought to life on Facebook,” added Will Platt-Higgins, VP of Global Account Partnerships at Facebook. When it comes to seamlessly melding the physical world with the digital one, it can be clearly seen that the beauty industry is going all out. All the way from Laneige Malaysia’s first interactive Facebook Augmented Reality camera filters which allow users try on three different types of eye makeup, lipstick and blush from LANEIGE’s new product range to this. Augmented reality has been over-hyped but thanks largely to Pokémon Go, Snapchat and Apple’s ARKit, we’re finally seeing the technology being used to create useful and meaningful experiences for consumers. It is also noted that the market size of the Augmented Reality and Virtual Reality industry is forecast to projected to skyrocket to USD 209.2 billion by the year 2022. The post Is augmented reality the future of beauty industry? appeared first on MarketingMagazine.